We got many questions regarding ease of Distance Education Learning. Prior taking admission many students asked us, Is Distance Learning Easy? Especially those students who think they are too old to pursue Degree or Diploma. ‘You are never too old to set another goal or to dream a new dream’ – C.S Lewis. We at London School of International Business assist students that education is for Life. Becoming a student in your own home is the convenient and flexible solution to fitting in learning around your current commitments. LSIB distance learning offer affordable fees programs with flexible timings. At LSIB our student learns with a fun and highly qualified, skilled professors. Question: Is Distance Learning Easy for mature students? Answer: Distance learning is a boon for grown students. There is no typical mature student. Mature students can be defined as any student aged 21 or over, not by education. 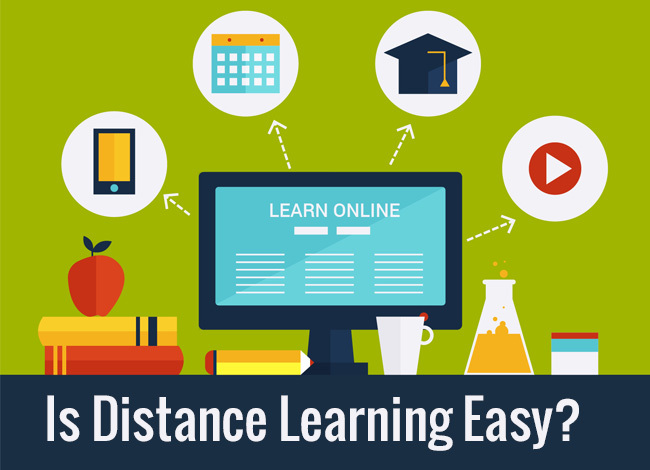 Question: So, Is Distance Learning Easy? Answer: Now learning is not about fitting with traditional, standard method of education, attending classes, etc. Distance Learning is now believed to be the best mode of study that everyone can choose. Nowadays, many organizations are offering training and further opportunities in education. Question: Distance Learning and Mature students. Answer: UCAS has revealed that 1 in 3 new students at the university is a mature student. Despite the ease of distance learning the courses and outcomes are comparable and often exceed more traditional colleges. Answer: The average adult learner is more committed to study with valuable skills and life experience. It’s very important for every company that old employees continue to update their skills. Question: Distance Learning why not? Answer: Although learning in later life is now more accessible than ever because of online learning which is accessible at any time anywhere. Answer: While working it becomes difficult to get extra time to attend classes physically, but distance learning offers you a big opportunity to secure a satisfying career and continuing your job together. Answer: Lack of confidence is very common for so many. However, Our distance learning courses are well designed where you can complete your degree at your own pace. It’s never too late to find success. Distance learning student experience a new adventure in life, which add up to your existing skill set and enhance your employability.